Palmieri Tyler is one of California’s most experienced law firms providing eminent domain services for condemnation and valuation litigation cases in Irvine, CA. Learning that your property is subject to eminent domain can come as a huge shock. You may not know what steps to take or what rights you have. Private property and business owners whose real estate is being taken for public projects may benefit from knowledgeable eminent domain attorneys to walk you through the process and ensure that you retain your rights and get the highest possible compensation for your property. Under both federal and California law, any government entity may take private property for a compelling public reason, like expanding a roadway or adding on to a school. This is called the right of “eminent domain” and may be exercised by the government if they fairly compensate the property owner. In some areas, eminent domain is more informally known as condemnation. Condemnation may occur even if there is not an issue with the condition of the property. In the eminent domain process, government officials will first legally inform you of their decision to take the property. They may offer compensation right away, or that may come later in the process. In nearly every situation where eminent domain is exercised, you as the property owner will be best served to hire a knowledgeable attorney who can negotiate the best possible value for your business or personal real estate. Who Can Use Eminent Domain? Federal, state and local governments can all exercise their right to eminent domain within their geographical boundaries. They must be able to show that the reason for taking the property benefits the public and the landowner must be given reasonable, fair market compensation for the value of the property that’s being taken. In very rare circumstances, a private company like a power company or oil and gas company may be permitted by the government to take eminent domain if doing so will produce a benefit to the public good. This has been permitted by federal and state courts. Why Shouldn’t I Negotiate on My Own? You may be tempted to work with government officials and not seek legal representation from an eminent domain law firm. However, services from an experienced eminent domain attorney can often recover a higher property value during the negotiation process. The attorneys at Palmieri Tyler know what tactics governments often use in their efforts to pay as little as possible for property seized under eminent domain. We can advise you on what to avoid and when to cooperate for the best possible valuation of your land. In addition to assisting with the valuation process, eminent domain services can make sure you’re not being treated unfairly or illegally during the process. Your attorney can help you get compensation that covers moving your business and the associated expenses as well as just the value of the property. A knowledgeable attorney can also take the stress out of the entire proceedings. You won’t have to wonder if you’re doing the right thing, or if you should try a different negotiating strategy. You’ll have the expertise that comes with having worked on hundreds of eminent domain cases in California. 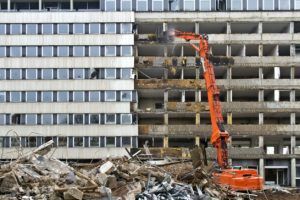 As well, if your case should go to court, you’ll have lawyers who are familiar with the case and well-versed in trying tough eminent domain cases. Palmieri Tyler has a 30-year history of working on eminent domain and valuation cases. Our attorneys have handled more than 2,000 cases and have seen a wide variety of circumstances. We can help you avoid pitfalls and secure the best possible compensation for your property. To speak with one of our experienced attorneys in Irvine, CA, please contact us to schedule an initial consultation at (949) 851-7294 or use our online contact form.